If you’re looking for a reliable plumber with top quality service and extremely competitive prices, J. Sutton Plumbing and Gas Services has you covered. 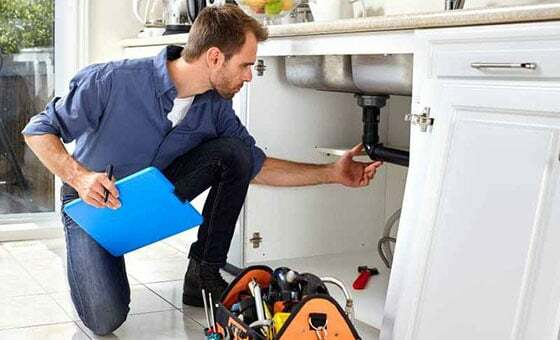 We offer a wide range of services throughout Floreat, and our fully trained team has the skills and experience to develop solution to all your plumbing and gas system needs. When choosing a plumbing contractor, it’s important to make sure that you find someone who has the necessary training and licences. Here at J. Sutton Plumbing and Gas Services, we employ a number of highly skilled plumbing professionals. We are fully licenced, which means that you can trust us to do the job right on time, every time. We are also fully insured, meaning that any accidents or problems caused by our team – they are extremely rare, but we’re only human – will be covered. If you’re looking for a highly professional plumbing or gas fitting team in Floreat, you’re in the right place. Drain camera inspections – Using state of the art CCTV technology, we have the ability to inspect your drains and pipes from the inside, meaning that we don’t have to excavate or access any pipes until we’ve identified the problem. This can save you a lot of time and money. General residential plumbing – Our team is available to help you with any general plumbing needs you might have. We’re happy to do everything from fixing leaky taps and blocked drains to complete bathroom renovations. Ask us! Gas system maintenance – If your gas lines are looking worse for wear, it could be time to get them upgraded or replaced before they start causing problems. We also offer a 24/7 emergency gas system service to repair leaks or burst gas lines. Hot water system installation and maintenance – Having a broken hot water system can be frustrating. Our team can help you fix your existing hot water system or install a new system if necessary. We offer many, many more plumbing and gas services in Floreat, including complete fit outs of new or renovated buildings. Speak To Our Team For More Info! If you’d like more information about us, our services and how we can help you, then get in touch with us by phone or email today! J. Sutton Plumbing and Gas Services is your local plumbing professional in and around Floreat, and we’re here to help.